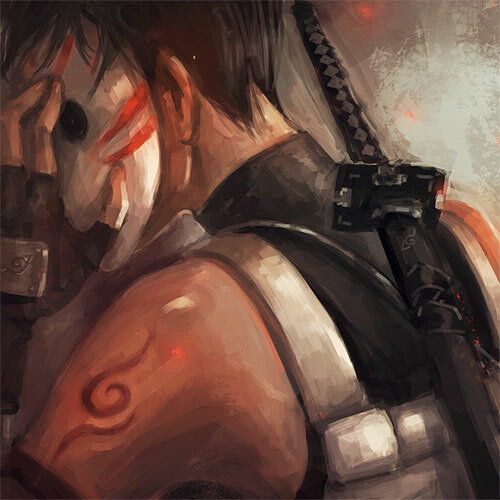 ANBU Legacy – Konoha's ANBU in a world where Yondaime defeated the Kyuubi, and lived. Konoha's ANBU in a world where Yondaime defeated the Kyuubi, and lived. ANBU Legacy is a collaborative multi-part serial novel. It’s based on the world setting of Naruto by Masashi Kishimoto. ANBU Legacy is an alternative universe to Kishimoto’s setting, that takes place in a Konohagakure where the the fourth Hokage defeated the Kyuubi—and lived. It focuses on the young men and women of ANBU, who took the vow to defend Yondaime and the village at all costs, set for the most part in the fifth year of Yondaime’s reign. ANBU Legacy is intended for an adult audience of 18+.